1. Cut corn off the cob. 2. 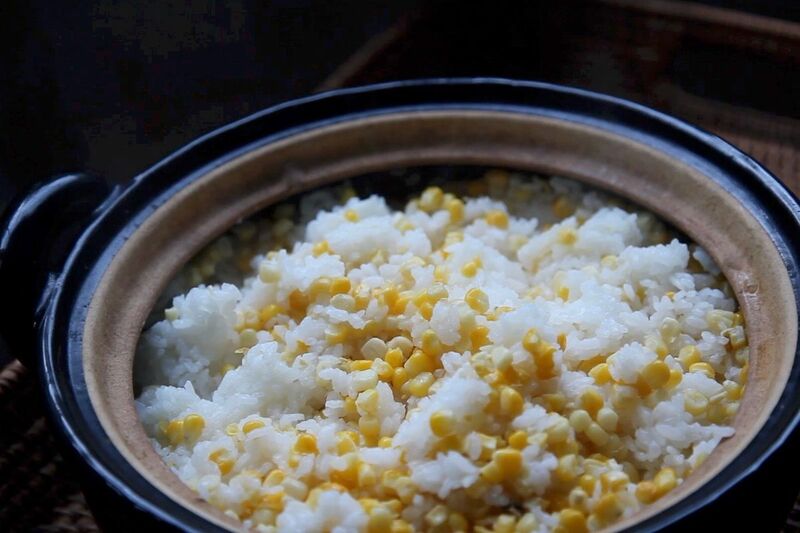 Wash the rice with running water over 5 times until there is no more white rice starch coming out of it. 4. Add water, corn, corncob, and salt . 6. When it comes to boil, reduce the heat to low and cook 12-13min. 7. Let stand for 15min with lid.